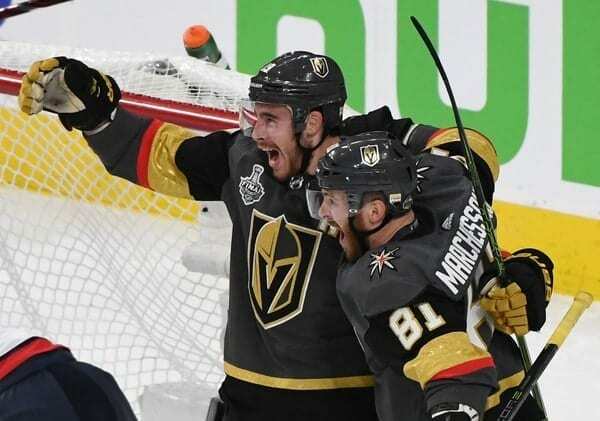 The Vegas Golden Knights’ amazing inaugural season continued on its wild ride on Wednesday night in Game 2 of the Stanley Cup Finals. Regardless of the series’ outcome, the Knights have set the bar impossibly high for any future expansion team in its first year of play. The ’71 Bucks still hold the major sports distinction of being the fastest expansion team to win a championship (we’ll get to you in a minute, 1950 Browns). 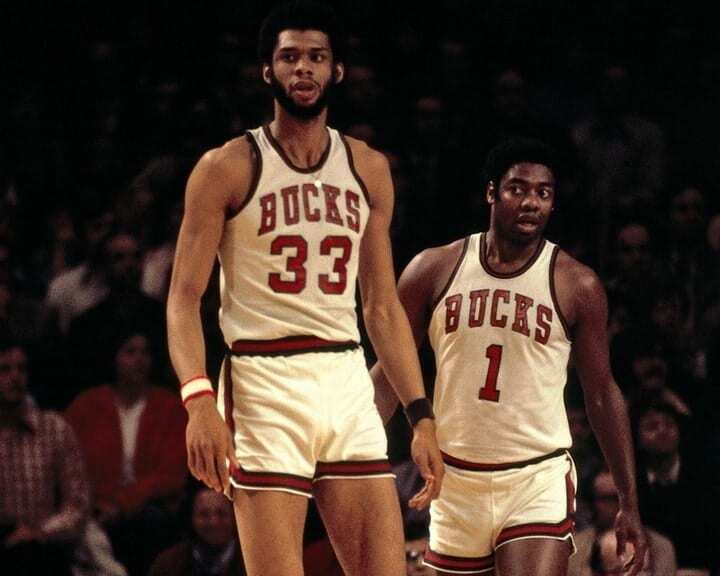 The Bucks joined the NBA in 1968, along with the Phoenix Suns, and though the Suns (16-66) finished with a significantly worse record than Milwaukee (27-55), according to rules at the time, the first pick in the draft was determined by a coin flip. This was no ordinary flip, as the top player in the 1969 draft class was a center from UCLA named Lew Alcindor. You might also know him as Kareem Abdul-Jabbar. The Bucks won the toss, selected the big man, and won 56 games in 1970. The basketball gods then smiled on the Bucks once again, when the Cincinnati Royals inexplicably traded Oscar Robertson, one of the greatest players in NBA history, to Milwaukee before the 1970-71 season. Now featuring to Hall-of-Famers in the lineup, the Bucks won 66 games – including a then-record 20-game winning streak — and cruised to the NBA Finals, beating the San Francisco Warriors and Los Angeles Lakers in five games to reach the championship round against the Baltimore Bullets. The Finals were merely a coronation, as the Bucks easily swept the Bullets to earn the only championship in franchise history. Alcindor was named league MVP. In the modern era of NBA expansion, which came to the league in the late 1980s and early 90s, the Magic became the second-fastest expansion team to reach the Finals. Like the 1971 Bucks, the Magic relied on a transcendent young center and a dynamic guard to get to the Finals in its sixth season. This time, it was Shaquille O’Neal patrolling the paint (and shattering backboards) and Penny Hardaway running the point that carried the Magic past the Michael Jordan-less Bulls into the Finals against the defending champion Rockets. But there the dream died, as Hakeem “the Dream” Olajuwon and the Rockets swept the Magic in four games. No sport is more unforgiving to expansion teams than Major League Baseball, as the game’s most-critical commodity – quality starting pitching – often takes years, sometimes decades, to fully develop. 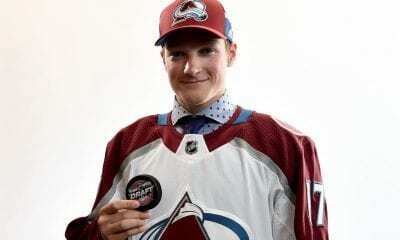 But the ambitious Diamondbacks leadership, led by owner Jerry Colangelo, bucked the system by acquiring two of the most dominant pitchers of the era, Randy Johnson in 1999 and Curt Schilling in 2000. Led by Johnson, the Diamondbacks reached the Division Series in their second season in 1999, then broke through in 2001 to face the New York Yankees in one of the most thrilling an emotional World Series ever played, becoming the fastest modern Major League expansion team (four seasons) to claim a league championship. Against the backdrop of the 9/11 attacks, the Yankees rallied for two of the most dramatic victories in World Series history to take a 3-2 series lead back to Arizona. But with Johnson dominating Game 6 and Schilling matching Roger Clemens in Game 7, the Diamondbacks rallied against the great closer Mariano Rivera in the bottom of the ninth, with Luis Gonzalez clinching the title with a walk-off bloop single to center field. The Marlins also avoided the pitfalls that crippled expansion teams of earlier eras by exploiting a weapon not available to teams in the 1960s or fully-understood in the mid-1970s: free agency. The Marlins began play in 1993 and struggled like all expansion teams before it until 1996, when owner Wayne Huizenga opened his wallet and began a free-agent blitz that would carry the Marlins to a World Series title in 1997, the team’s fifth year of existence. First, the Marlins signed pitchers Kevin Brown and Al Leiter in 1996, then added a trio of big bats in 1997: Moises Alou, Bobby Bonilla and Gary Sheffield. The mother-lode of talent carried the Marlins past the perennial National League stalwart, the Atlanta Braves, in the league championship series, before winning a dramatic Game 7 in extra innings against the Cleveland Indians to capture the World Series. And just as quickly, Huizenga dismantled his high-priced team, starting a pattern that would lead the Marlins to another title in 2003 and another fire sale in 2004. Technically, the Browns were considered an expansion team when it joined the NFL in 1950, along with the Baltimore Colts and San Francisco 49ers. But this was no rag-tag group of veteran cast-offs from other teams thrown together for a decade of losing. The Browns were already a championship team in its own right, having dominated the now-defunct All-America Football Conference. Led by coach Paul Brown (hence the name), quarterback Otto Graham and running back Marion Motley, who led the NFL in rushing in 1950, the Browns defeated the Los Angeles Rams to win the league championship. It was the Browns’ fifth straight title, dating back to its AAFC days, and the first of six straight appearances in the NFL title game. They were truly an expansion team in name only. The American Football League went through a myriad of franchise relocations, folds and re-boots in its early years of the 1960s, but only twice did the league officially add expansion teams. The first was the Miami Dolphins, which began play in 1966, just before the AFL announced its merger with the NFL, which began with the 1970 season. In 1971, the Dolphins, led by coach Don Shula, quarterback Bob Griese, running backs Larry Czonka and Jim Kiick and the vaunted “No-Name” defense, stunned the newly-formed AFC by reaching the Super Bowl against an original NFL expansion franchise, the Dallas Cowboys (1960). The Cowboys would win the big game, 24-3, but the Dolphins, in just their sixth season, were at the start of the first post-Lombardi dynasty in the NFL, going undefeated in 1972 and repeating as Super Bowl champions in 1973. Neither the Panthers, nor the Jaguars, would reach the Super Bowl in their second season of 1996, but that does little to diminish the accomplishment of both expansion franchises. Unlike the 1950 Browns, the Jags and Panthers were true expansion teams, but like the Browns, they achieved almost instant success, reaching the conference championship game in each league in their second season. 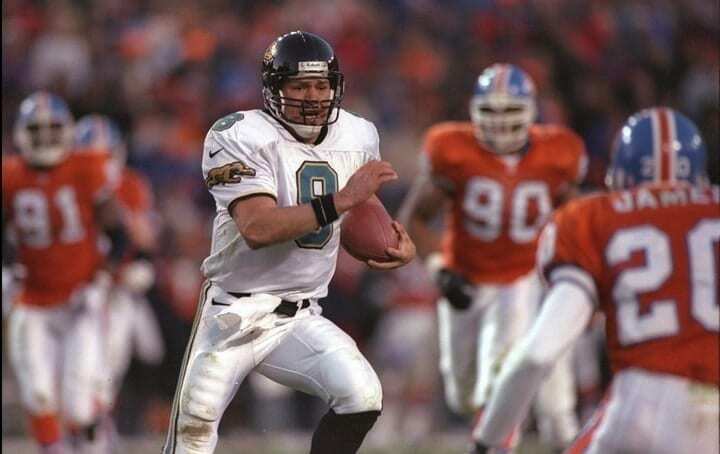 The Jaguars, coached by Tom Coughlin, pulled off one of the biggest upsets in NFL playoffs history, beating the Broncos in Denver in the divisional round to earn a date in New England against Bill Parcells’ Patriots. In the NFC, the Panthers essentially put the nail in the coffin of the 1990s Cowboys dynasty with their own divisional-round upset. The Patriots and Green Bay Packers would end the dream for both upstarts in the conference championship games. The Panthers would eventually play in two Super Bowls (2003, 2015), while the Jaguars are still looking for their first Super Bowl appearance. Before the Golden Knights, the 1967 Blues held the distinction of being the only true expansion team to reach its league final in the first year of play. But just as the 1950 Browns deserve an asterisk for its first-year success in the NFL, the Blues’ accomplishment is as hollow as it gets. When the NHL expanded from its Original Six franchises to a 12-team league in 1967, they configured their new two-division setup in a way that guaranteed one of the expansion teams would reach the finals. Quite simply, the league put all six expansion teams in the same new six-team division. To the Blues’ credit, they advanced to the Stanley Cup finals in each of their first three seasons, losing famously to the flying Bobby Orr in the 1970 Finals. It would be the Broad St. Bullies who would earn the distinction of the first NHL expansion team to win a Stanley Cup, winning back-to-back titles in 1974-75. The Flyers were among the six expansion teams to join the league in 1967, and would be just the second, after the Blues, to reach the Finals, defeating the Bruins in six games. 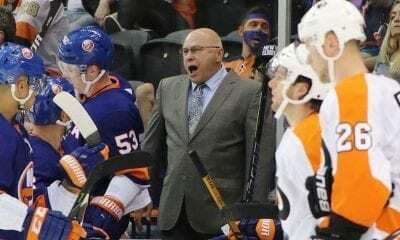 The Flyers earned their nickname because of their rough, brawling style of play. Winger Dave Schultz would lead the league in penalty minutes. 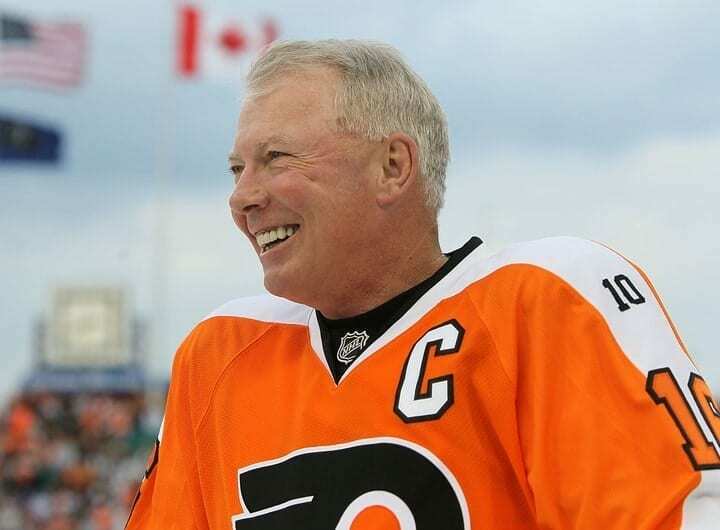 But it was the offense of Bobby Clarke and the goaltending of Bernie Parent that led the Flyers to the championship. The NHL began a migration to the U.S. south and west in the early 1990s, with two teams popping up in Florida. The Panthers, who played in Miami, became the first of the modern relocation/expansion teams to reach the finals, getting there in its third season. The Panthers lost to the Colorado Avalanche in four games in the Stanley Cup Finals. The team was owned by Wayne Huizenga, who also got the expansion baseball Marlins to the World Series in 1997.